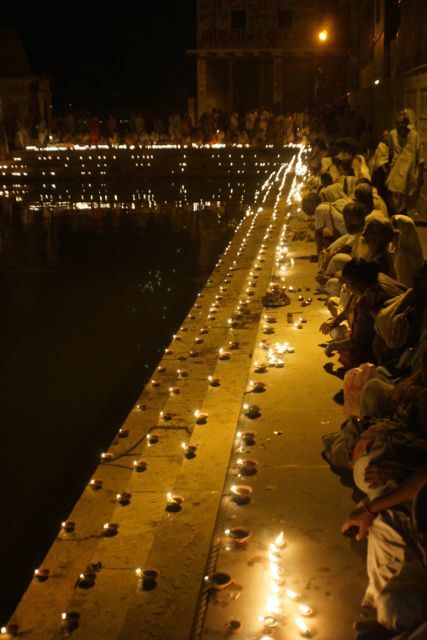 The meanings of Dīpāvali, its symbols and rituals, and the reasons for celebration are innumerable. 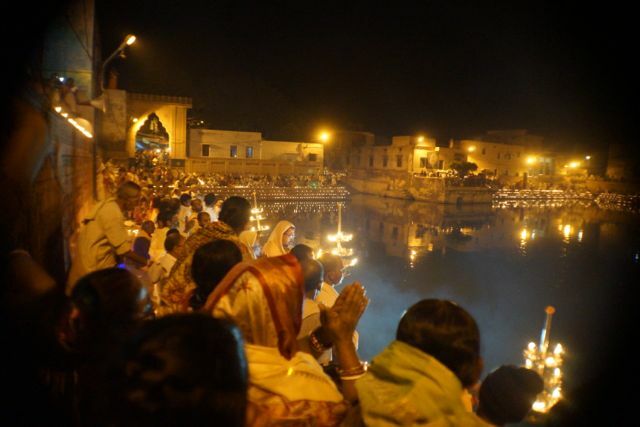 Dīpāvali celebrates Lord Rama’s glorious and long-awaited return to his kingdom of Ayodhya after fourteen long years of exile in the forests. 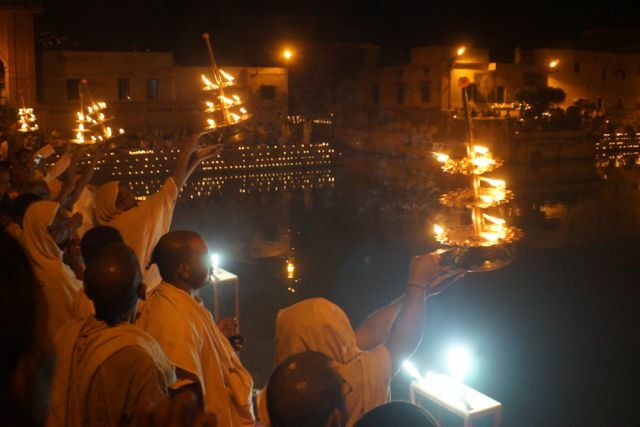 It also commemorates Lord Krishna’s victory over the demon Narakasura who had kidnapped and terrorized the gopīs of Vrindavan. 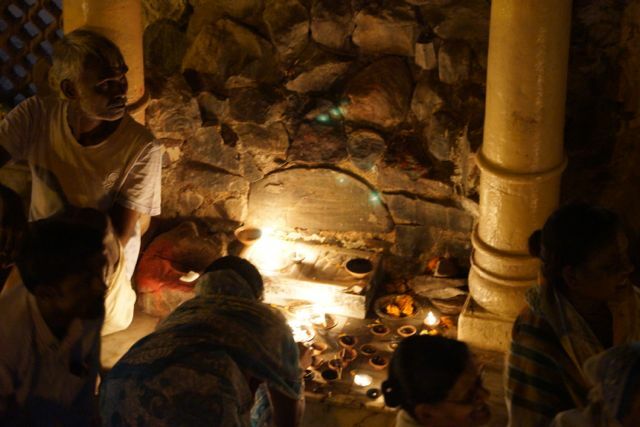 When the evil Narakā was finally killed by Bhagavān Kṛṣṇa in the presence of Satyabhāmā, he begged pitifully for mercy; thus, upon his entreaties, it was declared that this day of his death would be celebrated with great joy and festivity. 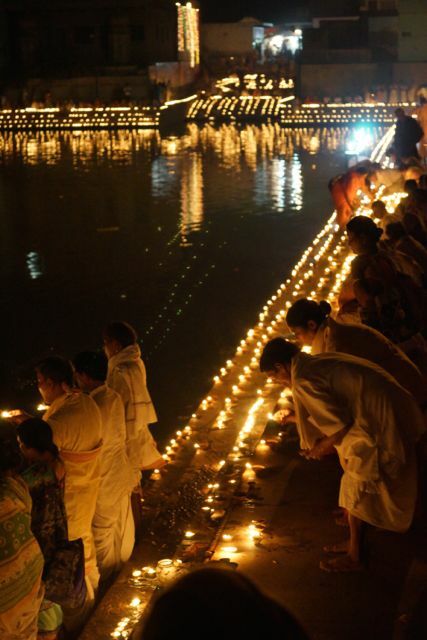 It is also celebrated as the day Bhagavān Viṣṇu married Maha Lakṣmī. 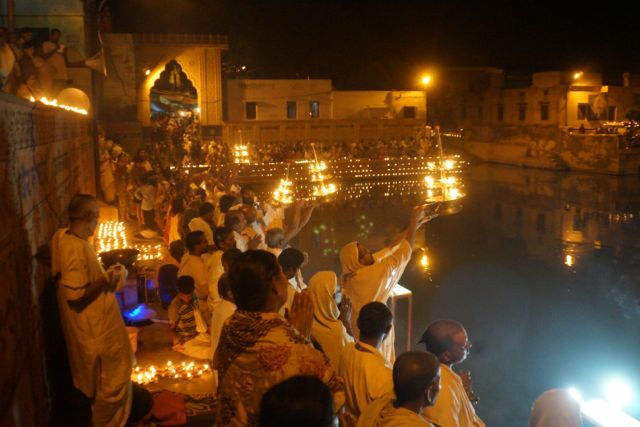 Dīpāvali is also associated with the story of the fall of Bali – a demon king who was conquered by Lord Viṣṇu. 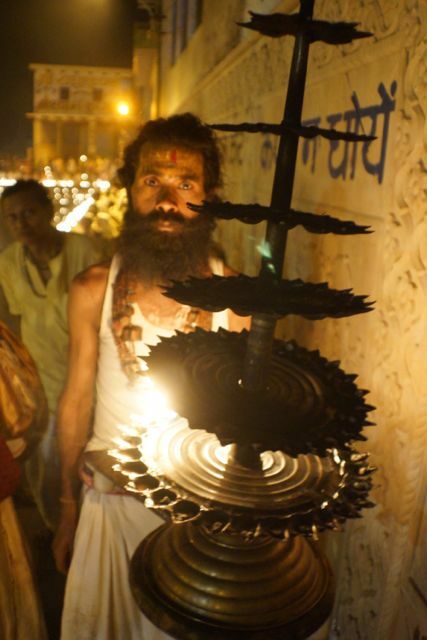 Lord Viṣṇu appeared to the demon king Bali in the form of a dwarf and requested only three steps of land. 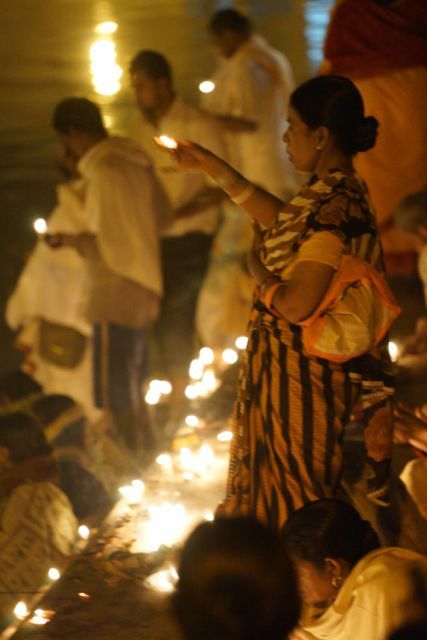 Bali granted the dwarf’s meager request for only three feet. 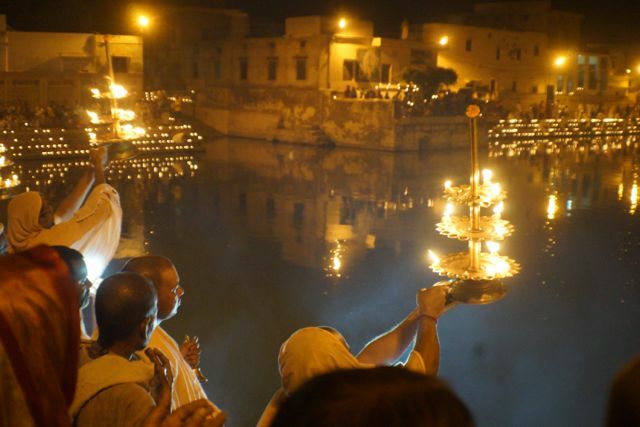 Suddenly, Lord Vishnu took on His grand size and placed one foot on the Earth, another on the Heavens and His third on the head of Bali. 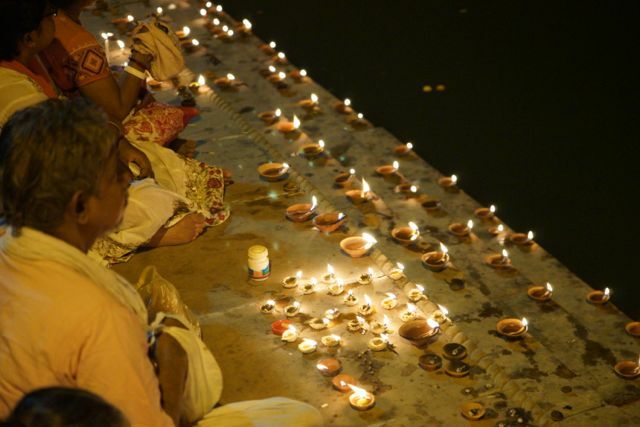 In general, Dīpāvali signifies the triumph of good over evil, of righteousness over treachery, of truth over falsehood, and of light over darkness. 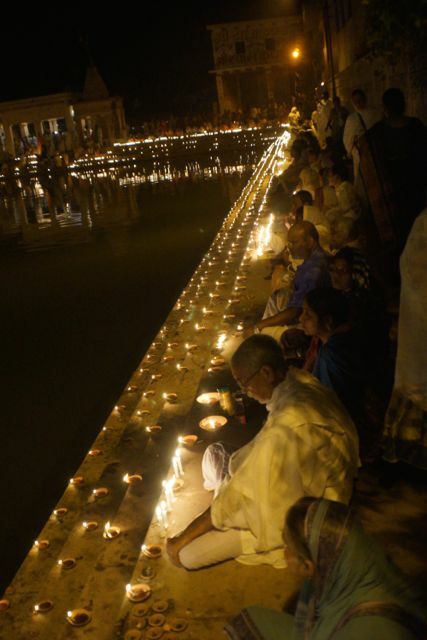 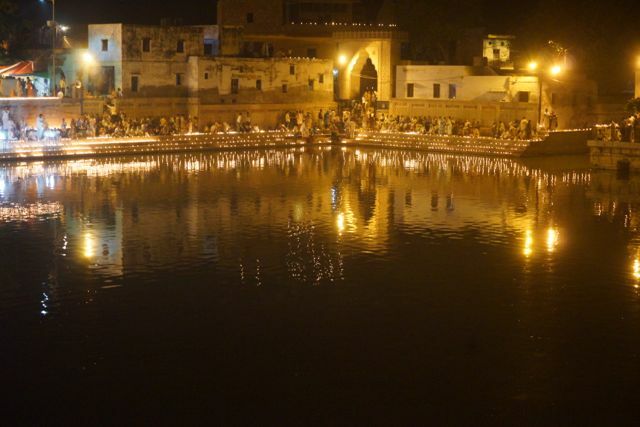 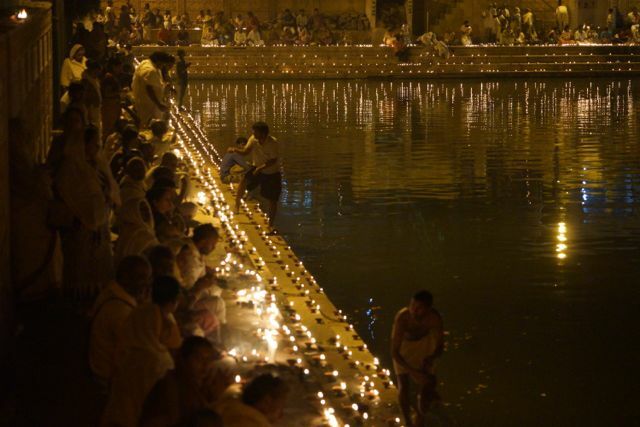 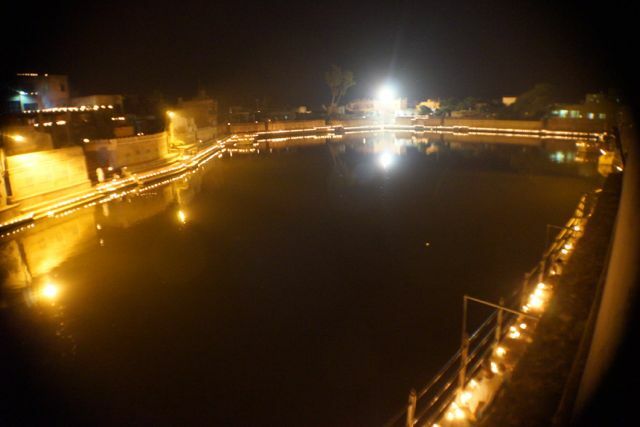 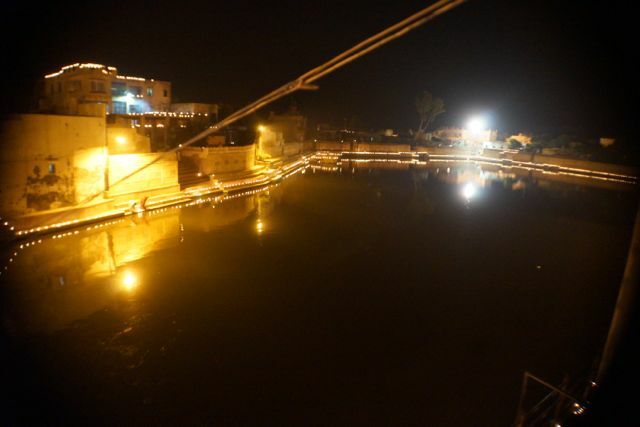 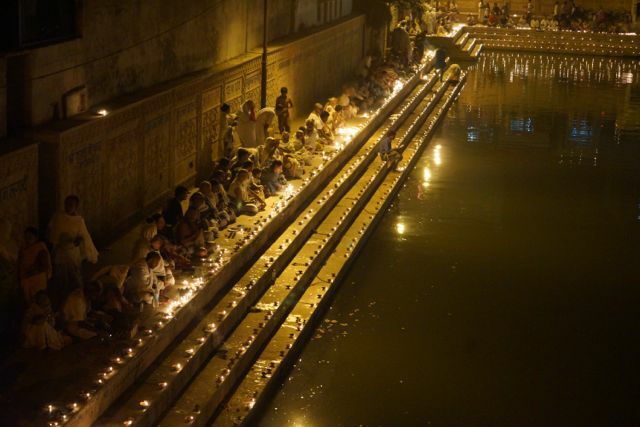 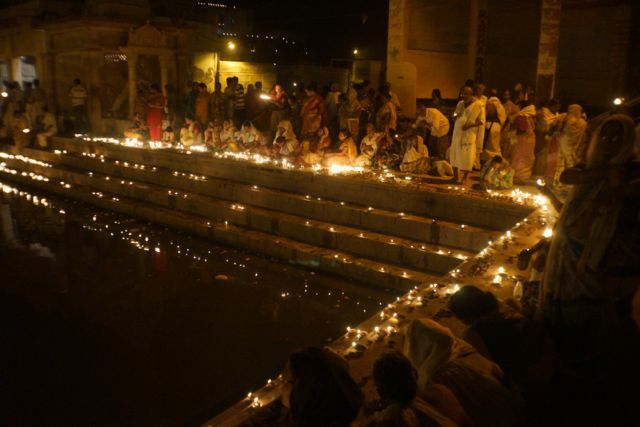 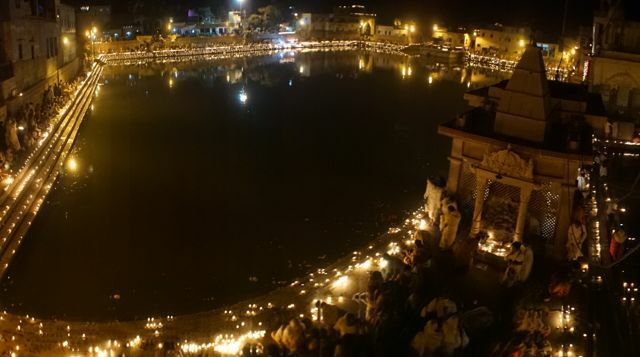 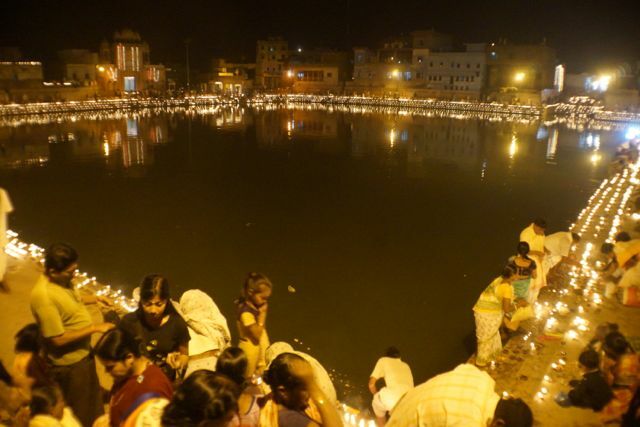 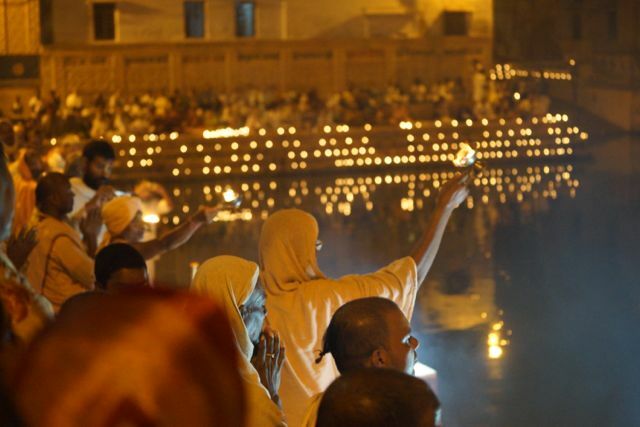 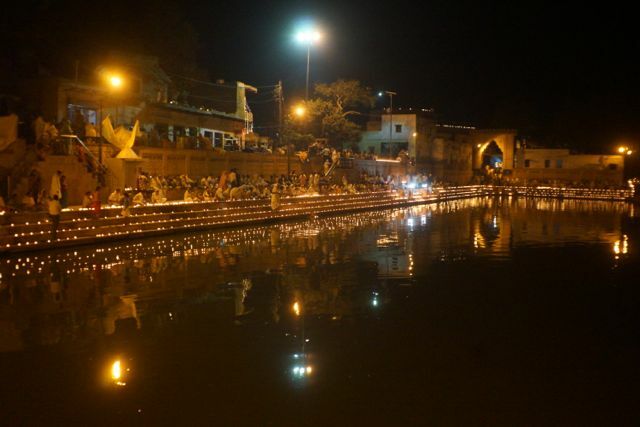 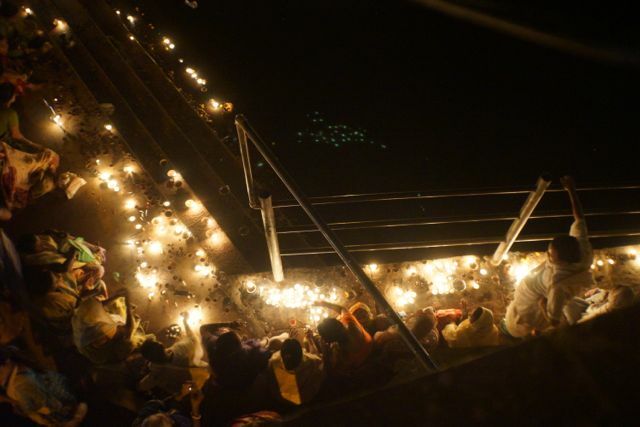 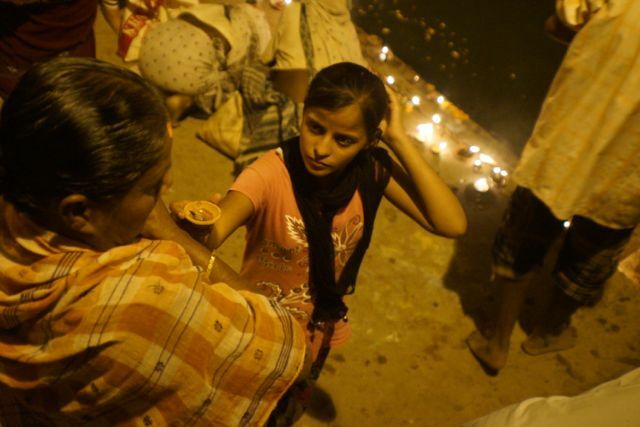 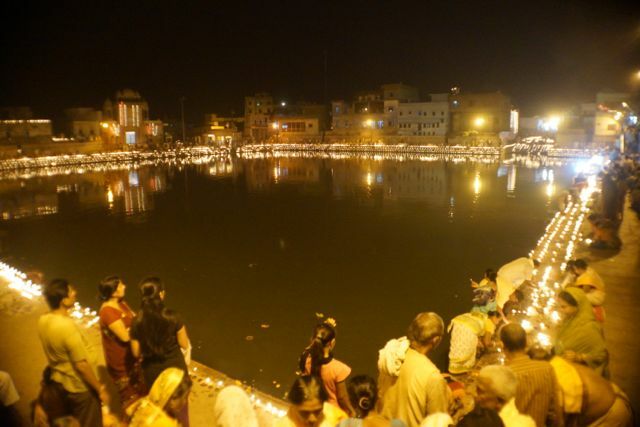 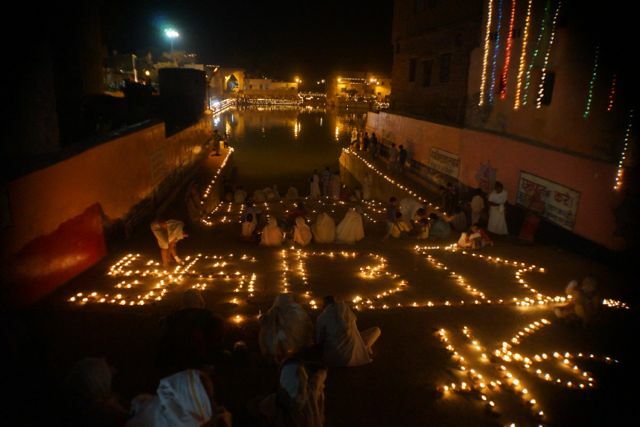 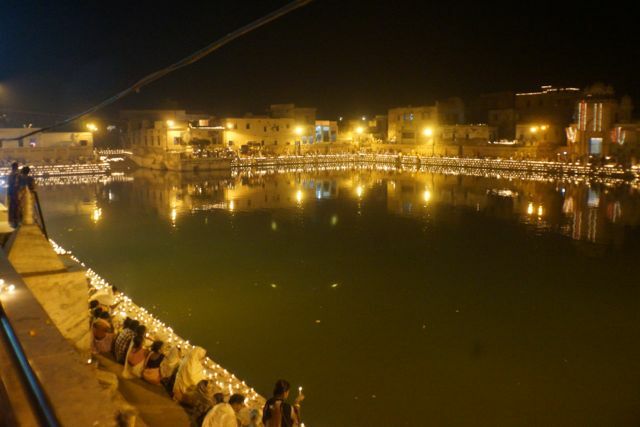 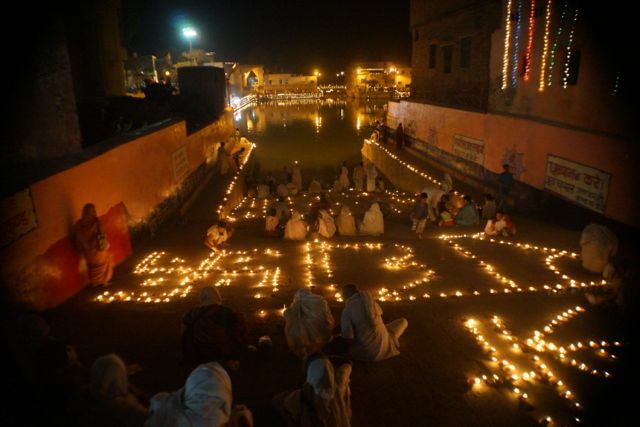 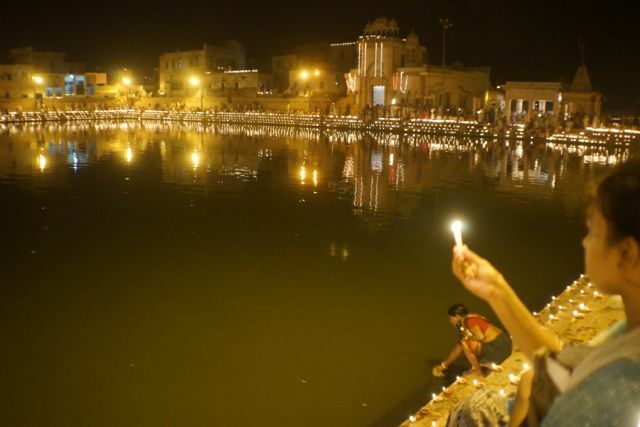 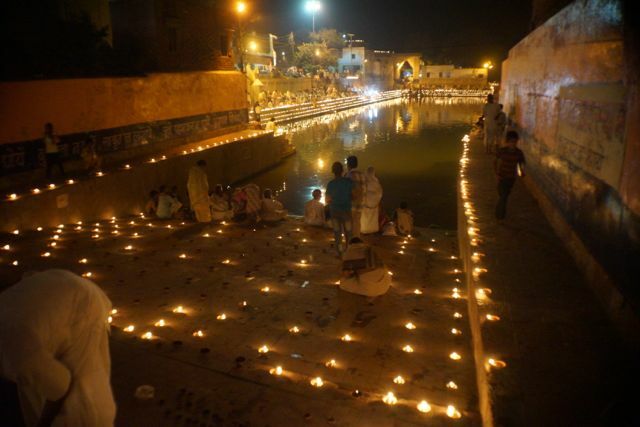 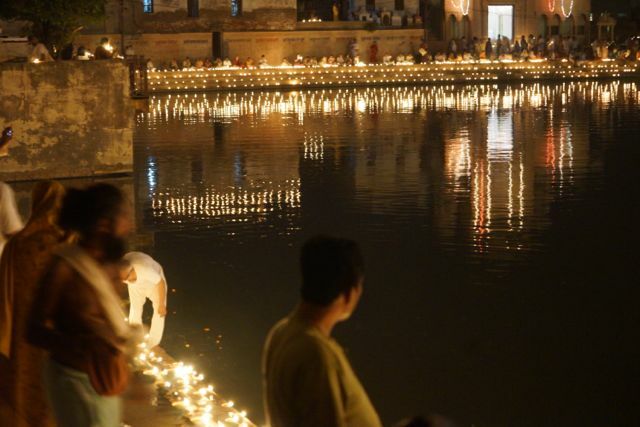 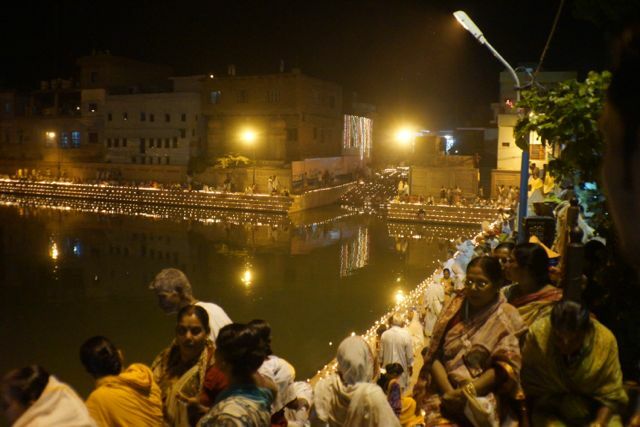 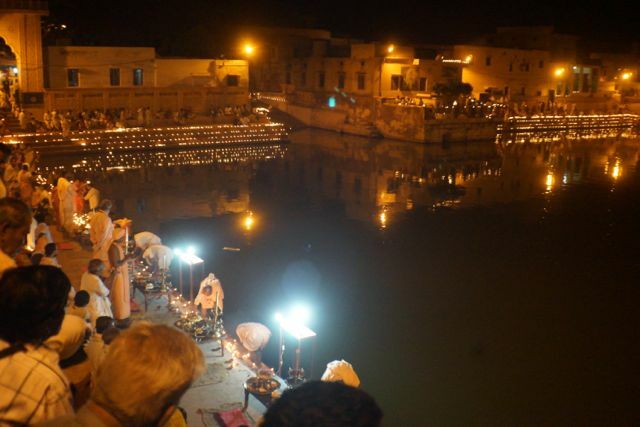 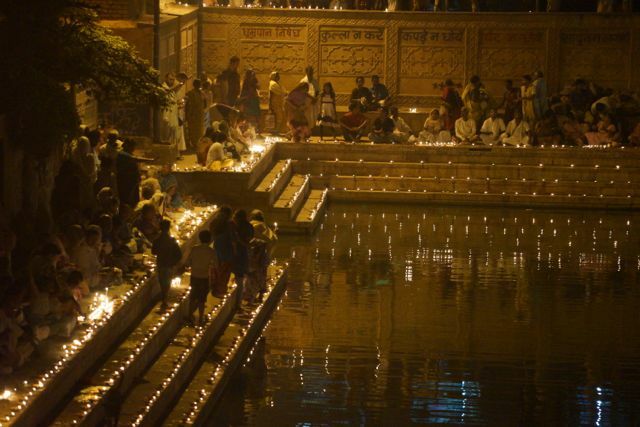 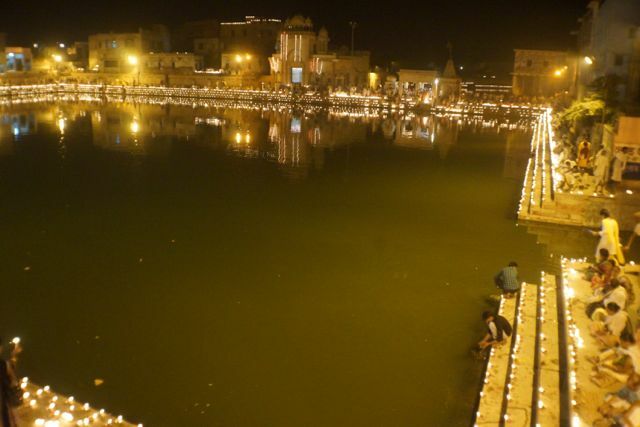 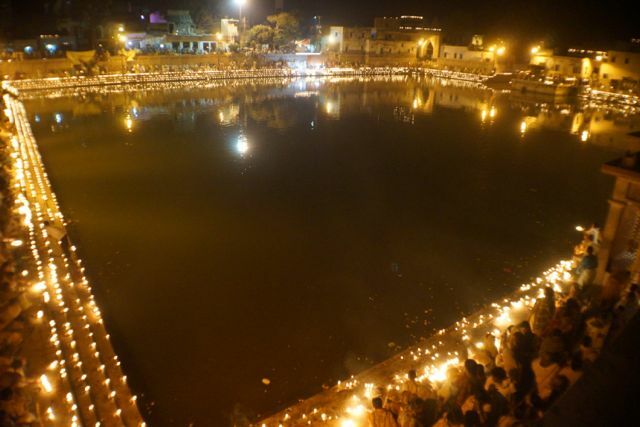 Last night at Radha Kund, a multi-step lamp offering was made, many pilgrims offered individual lamps from the banks; a maha arotik was also performed. 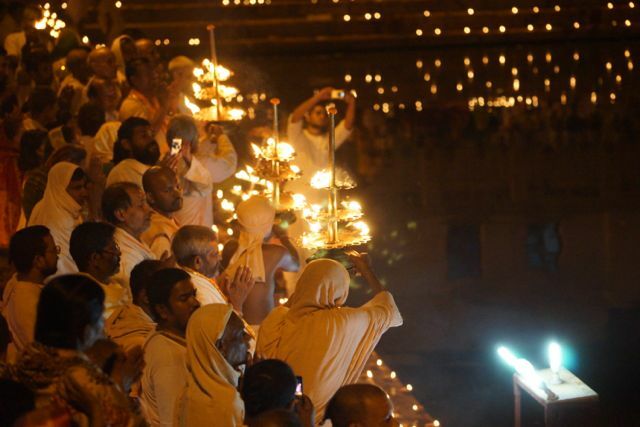 As the Rādhārāṇī Braja Yatra celebrates in Vṛndāvana may this Diwalli day(where ever you are), more importantly than personal gain, bring new unprecedented victories in the protection and preservation of Braja Dhāma.